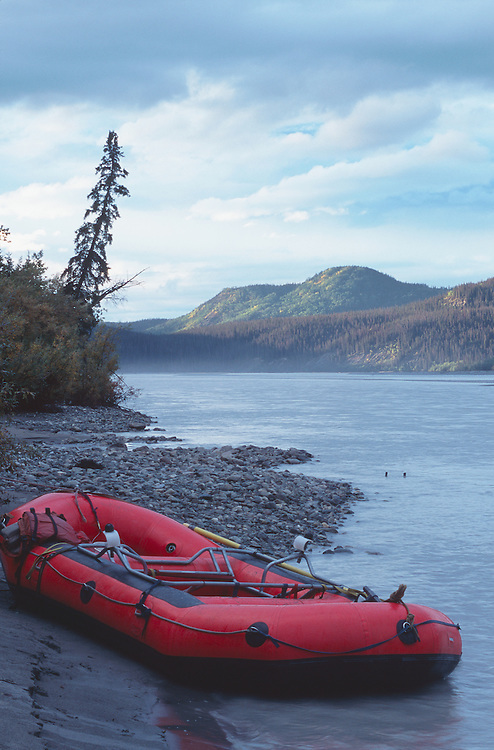 Rafting at Nerelna Creek on Chitina River in Wrangell-St. Elias National Park in Southcentral Alaska. Fall. Afternoon. © Ray Bulson/Wilderness Visions, Inc.